Select Fabricators’ Wireless Technologies Test Pouch allows the test engineer full access to a mobile device through the RF shielded mesh window. This feature provides hands-on manipulation as well as visual inspection during the testing cycle. Location based services testing including E911 can be conducted due to the pouch’s ability to contain a device’s RF signal which prevents carrier network access. Window touch screen allows for mobile device manipulation within the flexible test box. Test protocols that need carrier network access suppression include VoLTE, MIMO, location-based services, and E911. 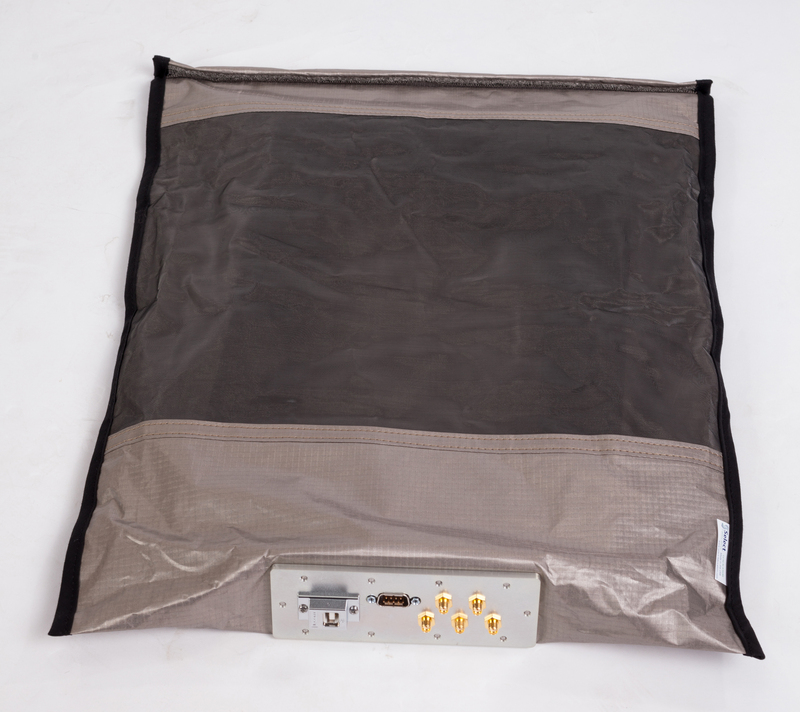 SFi’s Wireless Technologies Testing Pouch is compatible with LTE technology testing systems including Aeroflex, Agilent Technologies, Anite, Anritsu, Azimuth Systems, JDSU, National Instruments, Rohde & Schwarz and Spirent Communications. (3). 1. Nelson, Rick, “Evaluating Cellular Evolution”, Evaluation Engineering, March 2012. 2. SE measurements are made at a one-meter distance from the source. 3. Aeroflex, Agilent Technologies, Anite, Anritsu, Azimuth Systems, JDSU, National Instruments, Rohde & Schwarz and Spirent Communications are all wholly owned copyrights and trade names of these respective companies. Use of their names does not imply or directly endorse any of Select Fabricators, Inc.’s products.